The Red Clay summer workshops are 2.5 day weekend workshops at Red Clay farm on the coast of the Bay of Fundy. Red Clay is a lovely small farm property of gardens and orchards, stream beds, tall forests, hills, meadows, and shorelines and is home of White Rabbit. Workshops include meals prepared with fresh organic produce. 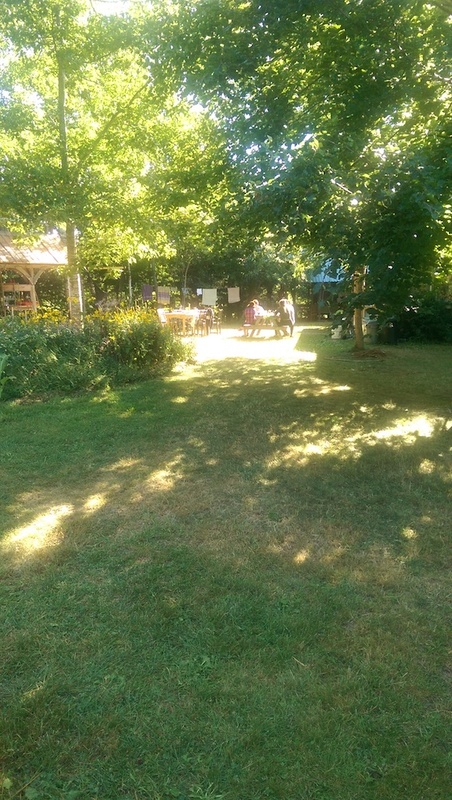 Camping facilities are provided for all workshop participants, or you can request one of the tiny cabins or loft spaces in the greenhouse (available of a first come first serve basis). Workshops focus on skill development and practice but also include evening discussions around an open fire, occasional trips to the beach, solar shower and a wood fired sauna. Cost for each workshop (including meals and accommodation) is $140.00. June 15-17 – Tiny cabin Design/Build. Honey and Salt Self-directed Residencies.